Russia is one of the carbon-intensive countries in the world, said the British Environmental Investment Organisation (EIO). However, analysts cannot confirm this with figures, because Russian companies are in the end of carbon reporting lists. Introduction of international low-carbon standards should be part of climate policy of Russia, and transparency in corporate carbon accounting should be encouraged by governmental mechanisms. Unfortunately, so far Russia has no such plans. The global carbon rankings were conducted to help investors assess carbon footprint of largest companies. EIO plans to publish full text of the rankings on the first day of climate talks in Durban. According to the Fourth report of the ET Global Carbon Rankings, Russia is among the least transparent to independent carbon audits, together with China in terms of the worst rates among the BRIC countries (Brazil, Russia, India, China and South Africa). ET Global 800 Carbon Rankings was able to analyze activities of 35 Russian companies only on the basis of incomplete data. Of the 16 Russian organizations, whose carbon footprint was analyzed among 800 companies of the world, none has provided complete data. Only TNK-BP (Tyumen Oil Company - British Petroleum) allowed independent verification of data. The first report was published in April 2011. However, after a recent update of the standards with addition of data on indirect emissions, the ranking has changed. "Take, for example, a bank which might have extremely low operational emissions, mainly coming from the use of electricity For example, a bank can have formally extremely low "operational" emissions, mainly as a result of electricity consumption - says EIO director Sam Gill. – Their real impact and influence lies beyond their operational boundary in their investment and lending activities. To not include this does not paint an accurate picture of the state of a company’s GHG emissions across the entire value chain." 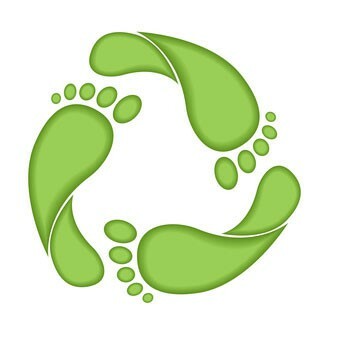 Carbon footprint of the company is a serious benchmark and standard. The Carbon Trust in the UK - an independent foundation with the public participation - has established a special award, which honors businesses and government offices most distinguished in promoting low-carbon projects. The standard was introduced to measure the carbon footprint of organizations - the reward for actual reduction of carbon emissions and the possibility of open information to customers and market participants. The special Carbon Reduction Label is used, applied to more than 2,500 products and services in the UK. Carbon Trust finances newly established low-carbon businesses, which have commercial potential, but are of too high risk for the private venture capital. Providing commercial profitability of such enterprises, the foundation promotes interest of other investors, thereby serving as a catalyst for transition to low-carbon economy. The investments range from 250 000 to 3 million pounds per company. Over the past year, investments in 15 companies totaled more than 17 million pounds. Russia has no such level of carbon responsibility even in plans. 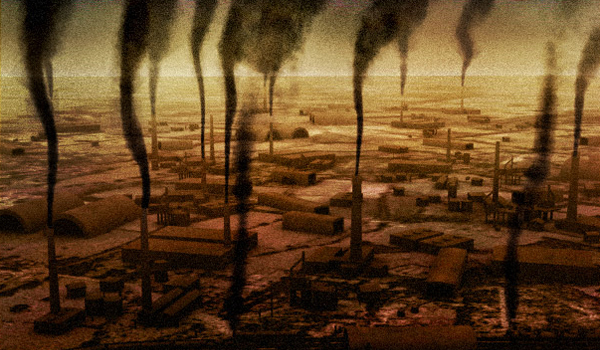 Russia is ranked third in the world in greenhouse gas emissions (after the U.S. and China). A good starting point could be reaching at least transparency in the corporate carbon accounting. Adoption of mechanisms for financial incentives at the federal and regional levels could contribute in it. Introduction of low-carbon standards of international level should be part of Russia’s climate policy, and carbon footprint measurement shall be made within already proven methods, taking into account direct and indirect emissions.